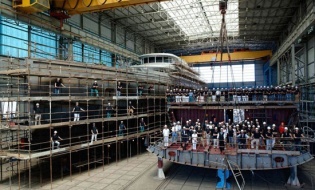 The technical launch of the 50m/165’ Hybrid Tankoa S502 Elettra is on schedule at the Genoa shipyard. Some 16 Swans drawn from eight nations, are set to contest the second running of the Monaco Swan One Design due to begin next week. Hanse Yachts’s new project is about to launch worldwide and we would like to inform you in advance as a press partner.